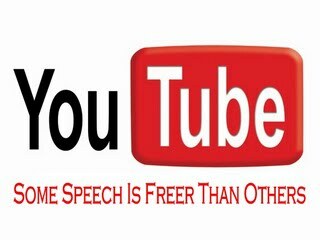 Free Speech On The Internet Is Dead - Ideology? 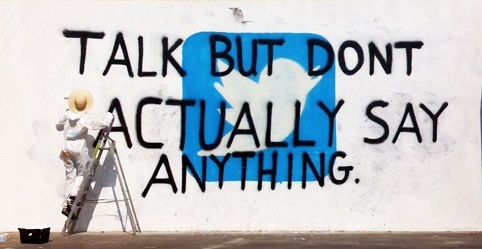 Or Are The Social Media Giants Actually On Government Payroll? Many believe those running giant social media platforms such as Twitter, Facebook and YouTube are censoring information sharing based on ideological viewpoints, but after seeing the nature of those censored, blocked, "shadowbanned" as well as how Facebook is actively helping governments persecute those who oppose offical government stances, it begs the question of whether these social media giants are actually being paid as government agents to become a propaganda arm for them? While search engines bring up a variety of results on YouTube antics, some of the most egregious are the ones whre a proven government/YouTube connection has been documented as shown below which lead to the conclusion that YouTube is working in collusion with government entities. In March of 2014 it was reported that YouTube, Google's video-sharing site, had given approximately 200 groups, including "government agencies, and organizations the power to flag up to 20 videos at a time." 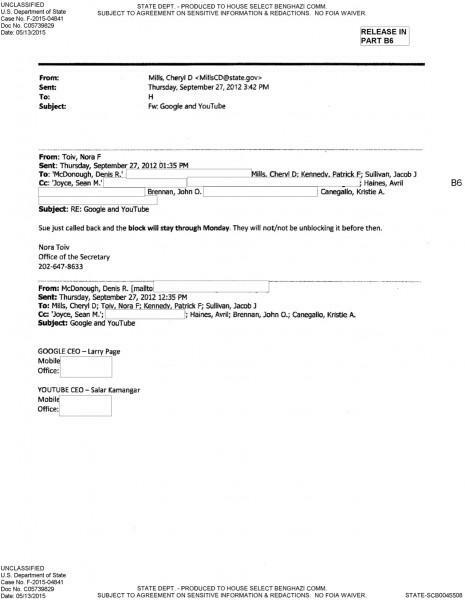 Amongst the emails released online, via the FOIA, was a document with the title “Google and YouTube.” Within the correspondence, a Clinton staffer forwarded the personal contact information of Google and YouTube’s CEOs on to the Secretary’s Office, according to Andrew Demeter, writing for Minds. The email was allegedly in regards to a request to block an unknown YouTube video. In May 2015, WeAreChange's Luke Rudowski, published a video showing how YouTube had started demonetizing videos that were politically unfavorable to Hillary Clinton. In this video Luke Rudkowski breaks down the latest news behind the scenes with the suppression of independent journalism. Luke shows you how all of the recent Hillary Clinton videos have been demonetized by youtube without notification or explanation when one of the videos went viral and got on the front page of the drudge report. Its important to note that WeAreChange gets the majority of its funding through the monetization on youtube and with these cuts google is sending a clear message that they do not want us to report on Hillary Clinton Honestly. In October 2015, Natural News documented a few other instances of YouTube shenanigans in an article titled "Google and YouTube now engaging in wholesale censorship of content they don't want the public to see." In a blockbuster report by Breitbart on February 16, 2016, they have confirmed by a source inside of Twitter that "shadowbanning" politically inconvenient users is taking place, where accounts are being "whitelisted" or "blacklisted" according to their political ideology. This report comes just days fater Twitter announced the appointment of a "Saftey Council" comprised of 40 annointed organizations as a "forcefielded against abusive, hateful or unpleasant blather," as The Spectator so succinctly phrases it. Given the censorious instinct of some of the group’s Twitter has entrusted to devise its safety policy — the Internet Watch Foundation; the Safer Internet Centre; Feminist Frequency, which campaigns against rough, sexist speech online — we can be sure the final policy won’t be to allow people on Twitter to say whatever the hell they want and everyone else to engage with, ignore or block them as they see fit. No, we’re likely to see the development of tools that allow for the flagging and maybe even squishing of dodgy or just unpopular viewpoints. Needless to say, the Twitter hashtag #censorship is giving users a chance to express their feelings on the topic, problem is, will anyone see it if they decide to "shadownban" the user and make it so no one can search out their comments? Yesterday Brietbart reported that a 40-year old man was arrested due to alledgly "offensive" Facebook posts, which as they also remind readers, follows another incident where police were visiting homes of people in the Netherlands for critical Facebook posts about the refugee issue. These types of reports reagrding Facebook are not new, but a look at the type of content that Facebook is flagging, blocking and removing, all seems to skew towards those speaking out against government over-reach, or controversial government policies, along ideological lines. It is worth noting, that though the image above shows this post is made by me, it was made by another admin and posted as the “Gun Rights” Facebook page. I am not sure why Facebook opted to show it to me in this context. 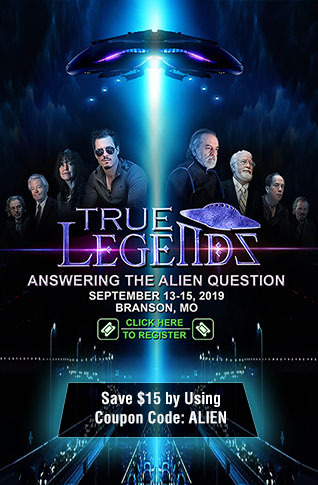 All admins of the page received the same notice, but with their own name and profile picture being shown as the poster. I personally was blocked from posting to Facebook for 30 days as a result of the post. 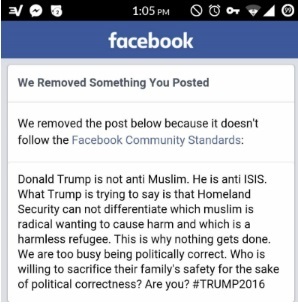 Here is Facebook's Community Standards page..... we would like to know what about the post above violated any of those "standards?" 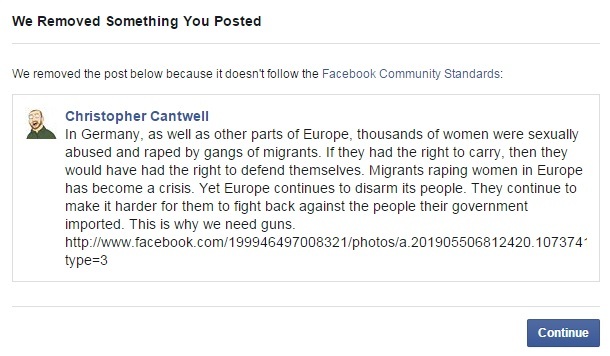 Anti-terror Conservatives, pro-veterans, promoting traditional marriage, Marine Corps emblem, are just the tip of the iceberg of things that Facebook has claimed "violated" their community standards. See much more AT THIS LINK. All News PipeLine firmly believes in a website having the right and obligation to enforce their rules of commenting, we ourselves have a civility rule. Debate, discussion and even disagreement is welcome and encouraged, but "trolls" that add nothing to the conversation but instead attack, name call, and generally bash everyone else in the comment section without ever addressing the topic, will find themselves warned once, sometimes even twice (after all, online anonymity sometimes encourages this behavior so we give folks a fair chance to learn our commenting policy) then they will be gone fast if they refuse to be civil.... so we DO understand a site has a responsibility to enforce their rules. 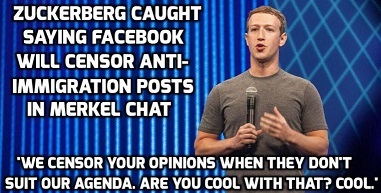 The problem here with these social media giants is when people, comments and content is removed that violates no rule, with no warning, for no other reason than it goes against the official "narrative," there is a problem, and it is becoming increasingly obvious that freedom of speech and opinion on the internet is being killed, but the question remains..... is it because of the ideology of those running these social media giants? Or are they being paid by government entities to do so?